If you own a business, you need to give importance to having a professionally designed logo which will represent your company in various mediums. The company logo creates the first impression of a business in online platforms and print media. Therefore, coming up with a design is no easy matter. There are many pitfalls start-up companies need to avoid, especially when having a logo designed and created. Keep in mind the followings tips when hiring or finding someone to come up with a Company Logo Design for your business. Some start-up business owners make the mistake of hiring a friend or family member to design a logo for them. Even if this person has decent graphic design skills, a professional who is experienced in logo design is a more suitable option. If you are looking for a logo designer, you need to use an established platform to find leads instead of relying on your network of friends. Although the designer comes up with the concept that best represents your ideas, a large part of your success in coming up with an excellent design is to have a clear vision. You need to begin by identifying specific brand values you want to highlight, as well as a list of some design elements which you think might look good on the final product. Giving the designer something to work with is better than allowing him to work on a completely blank slate. One thing you need to avoid when selecting a graphic designer for your company is an overly consistent body of work. If the designer’s portfolio looks too similar, then you need to look at other options. The problem with a designer that uses the same style and typefaces is that there is a danger your company’s logo will look too similar to others. Although you are also looking for variety, the designs should also be consistent in quality. You need to carefully consider how the designer approaches the rules of composition. There needs to be balance and restraint, while at the same time respect for the client’s vision. Although experimentation is a sign that the designer is taking risks, it should be done in a way that does not compromise the result. All reputable design firms have a website showcasing their body of work. It is a misconception that you need to look for an agency that worked with a similar business. You may be missing out on a chance to work with a competent team of designers by this misconception alone. At the end of the day, you will decide based on the agency’s portfolio, and if their aesthetics match the vision you have for your company’s logo. Apart from checking their previous work, it also helps to learn more about the company such as their values, their design process, preferred methods, and the general terms and conditions they have for each project undertaken. This information can be your guide in deciding if the agency is worth your while. To read more on topics like this, check out the business category. If you’re interested in new advertising platforms, and maybe you’re curious about how to advertise big brands products online to make some extra income, then you’re in the right place. In this Click2Sell review, we’ll take a look at this newbie-friendly marketing platform, and help you understand if it’s right for you. Let’s get started now. How Did I Find Click2sell.co? I found out about Click2Sell.co when I was browsing some of my favorite blogs and resources about making money online. I’m always looking for new side hustles and income streams, especially online, since I can work from home, a coffee shop, and basically almost anywhere I want to, so I decided that I would give it a try. The platform and marketplace allow anyone to create and design banner ad campaigns from scratch, and profit from those banner advertisements in ways that I’m just about to explain, so I was immediately intrigued, and signed up for an account. What’s The Platform About, And How Does It Work? The Click2Sell platform is a big online marketplace, allowing you to advertise big brands products online for profit. Using the platform’s tools gives you full control over the creation process of the banner ads which you choose to promote those products with. Then, you get rewarded based on the performance of your ads. Curious about the compensation program and how it works? So, let’s take an in-depth look at how you can make money online with Click2Sell. Pay-Per-Click (PPC) – You receive 85% of the revenue generated by each click resulting from your campaign (i.e., each time someone clicks on your ad). The more effective your banner ads are; the more revenue you can generate! Pay-Per-Acquisition – You also receive an 85% commission for each acquisition (or sale) generated by your ad campaign. For example, let’s say you advertise Nike products. Each time someone clicks on your ad and ends up buying a pair of shoes, for that matter, you get a commission. First, I signed up for the service and made my first deposit into the system (the minimum deposit amount is $250). You can choose between many different tiers, such as Silver, Gold, and Diamond, based on your spending threshold. Spending more gets you more benefits, such as more web impressions for ads, premium publishers sites, dedicated account managers, and more. Choose “Create Campaign” on the Click2Sell platform’s dashboard. Next, I chose a “Category” for my banner ad. I decided to pick “Body Art.” Other categories include “arts and entertainment, “business,” “Equities & Stocks,” and “Console Guides & Repairs,” to name a few. After this, I chose my “Campaign Budget,” which I set at $500. This tier will get me a minimum of 2,500 web impressions. Next, I chose my “Campaign Headline,” and then pressed “Save & Launch Campaign.” Just like that, I was all done! Overall, Click2Sell seems like a high-potential marketing platform, with it’s simple and a newbie-friendly interface and tools. However, you won’t be guaranteed to make money overnight. Instead, you have to dedicate yourself to creating great ads and spend some time fine-tuning your campaigns. If you’re willing to do so, it’s a great opportunity – but if not, it may not be right for you. Now it’s up to you to decide. In the year 2019, we are officially in the time of ecommerce. Every since 2015, ecommerce has become increasingly popular both for consumers and online businesses. The main reason for its rapid growth is the fact that shopping online is convenient, easy, and it can even be fun. But now that ecommerce businesses are being introduced to the internet on a daily basis, it can be difficult to stay ahead of the game. With so many online shopping experiences to choose from, yours has to stand out from the rest for consumers to buy your product instead of a competitor’s. Starting an online store or already have one that isn’t doing so hot? Read these 4 helpful tips for running a successful ecommerce business. First and foremost, you should always focus on the customer. Put yourself in their shoes and think about what you appreciate when you shop for products online. Obviously you want to simplify the shopping experience as much as possible and make your website user friendly. You can do this by choosing a reputable ecommerce platform to help you along the way. One of the most popular and user-friendly is Shopify. You’ll be required to pay a monthly fee to use any ecommerce platform, but it is well worth it. The Shopify fee for a basic account is just $29 per month, but it might be more than this if you include some available add-ons. If you don’t have a social media presence, now is the time to change that. You should have a business account on Facebook, Twitter, and Instagram and make frequent posts to keep your customers interested. Not only is social media a great way to get your brand’s name out there, it also allows you to look into the lives of your customers. This will give you an idea of who is purchasing your product and your target audience. Ecommerce stores have one major force working against them; the customer can’t actually see, touch, smell, hear, or taste your product before the purchase. Unlike in a brick-and-mortar retail store, the consumer must purchase the product without seeing it in person. This is why it is extremely important to post only high-quality product photos to your online store. Also provide a detailed product description ideally in the form of bullet points. It has been found that consumers take well to reading small bits of information at a time, but still need a thorough description. The STAR Method for proper interviewing can also be applied to running your business. STAR stands for Situation, Task, Action, and Result. Think of a situation within your business that could use improvement. Your next step is to establish the tasks necessary for improving that aspect of your business. Basically what we mean here is that your company should always continue to evolve. If things are stagnant and business seems slow, just apply the STAR method. Given the relatively difficult climate that investors have faced over the last decade or so, it is hardly surprising that there is some scepticism about investing in UK property. However, there are major financial benefits to investing in the right property assets. Resistance to investing comes in many forms – here we hope to dispel a couple of these myths. Naturally, as with any investment you make, there will be an element of risk. We appreciate that you will have taken time to save enough to make a property investment and understand this is a big deal. Property investments are one of the most secure investments you can make. Given that you have identified a property with the potential for profitable rental yields and in a good area, there is little reason why a property investment will fail. Investing with a specialist company and identifying the right property asset will help further increase the likelihood of a profitable investment. Unlike other investments, whereby you make money once you have sold your shares, a property investment is a passive, steady stream of income. A common myth surrounding property investment is that you need a high initial start-up. Sure, if you want to buy property outright, the cost will be high. However, there are many options for property investment beginners that don´t have a massive amount of disposable income. You can apply for a buy-to-let mortgage, similar to a standard mortgage and is based on the rent you are likely to receive for the property. Alternative assets, such as care home properties or student let properties can also be invested in for a much lower amount, sometimes as little as £5,000. With the economic outlook in the UK currently appearing bleak, some will advise against investing in property in the current climate. However, there are various arguments to counter this. First, cities in the North are actually seeing major economic growth. Cities such as Manchester and Liverpool are seeing growth as high as 7.5%. In addition, with property prices at a low, now may be the best time to snap up a property bargain. Holding onto property past the fallout of Brexit could see some real value in this long-term investment. If you wish to go it yourself, there is certainly weight to the argument that this investment type is time consuming, particularly if you are running your own HMO property. However, if you opt to invest through a developer or introducer of investments, the only time you put in is the initial investment. From here, the developer will manage the property investment for you. This is particularly relevant when investing in an alternative property asset, such as a student property room. Developers seek funding and manage the money you invest. You are guaranteed a return after a pre-requisite amount of time, often with the option to reinvest. This frees up time for you to focus your efforts elsewhere. Property investments are a safe, passive investment, with plenty of variables to consider. Ensure that you have done your own research before investing and invest within your budget. FJP Investment is an introducer of UK and overseas property-based investments to a global audience of high net worth and sophisticated investors, institutions as well as family offices. If you’re interested in increasing your Instagram account’s following, in order to increase the number of professional opportunities which you receive, it’s well worth continuing reading to discover whether it’s worth using Kicksta, to popularize your Instagram account. Yes, Kicksta is 100% safe and is spam free and has helped countless businesses and influencers to increase their online influence. How can Kicksta help you attract new followers? If you don’t want to waste your hard earned money on purchasing Instagram followers only to have your account followed by bots, you’ll love the fact that Kicksta promises real Instagram followers. Better yet, when you sign up for a Kicksta account, you’ll be tasked with identifying a few popular Instagram account, whose target audience reflects the target audience which you’d like to attract. As an example, if you’re looking to attract female Instagram users in their twenties, you may want to jot down a few Instagram users, who already boast a following of young women in their twenties. In order to build a long term following for your brand, it’s paramount to ensure that your account’s growth appears to be organic. As an example, if your brand’s page accumulates thousands of new followers in a single day, without one of your post’s naturally going viral, individuals will assume that you’ve purchased fake followers and likes for your brand’s account. Instead, Kicksta has been designed to help your account grow in popularity over time, so that your account’s growth looks natural and organic! How does Kicksta work? Kicksta will like 1-2 photos from each user who follows one of the targeted Instagram accounts whose success you’d like to emulate. This strategy has a high success rate as if individuals currently follow a brand or individual’s account, which is similar to your account, they’ll be far more likely to check out your Instagram account and to hopefully follow your Instagram account. All without having to be paid or coerced to check out your Instagram page. If you purchase bot followers or fake followers, it’s highly unlikely that the fake followers which you purchase will engage with your account. However, if you accumulate followers organically by utilizing Kicksta’s services, your new followers will be far more likely to continue following your account and engaging with your account’s posts in the long term. After all, for your brand to become more popular, you’ll want to attract comments on your posts as well as likes and followers. As popular accounts regularly attract hundreds of comments on their daily posts. Each month you’ll receive monthly growth report which will outline how many new followers you’ve accumulated and how many individual’s photos our team have engaged with on your behalf. So if you’re looking to take your Instagram account to the next level, it’s a safe, wise move to let Kicksta help your account grow organically! Join the discussion on this topic with Local Market Launch by visiting our contact page. In today’s marveling age of computers, technology, and the World Wide Web as we know it, websites are everything. That’s why some agencies are out there busting their tails and giving expert services for what is known as SEO, short for search engine optimization. Why? Because for starters someone has to do it, and secondly, most businesses have a hard time establishing a strong online presence that can help their businesses grow so the work of a Golden Gate SEO expert can really help. Here are some tips on helping your website succeed when it comes to taking down the big dogs called search engines, which rate and rank our businesses solely on the key aspects and algorithms that make up our website. Without good keyword analysis, and the use of both long chain and short chain keyword sets, as well as extensive research on the topic of your website (you have to have keywords that match what you are trying to sell. If you’re online, and even if you’re not selling an actual item for cash, you’re still trying to sell your “image” through your website. Without proper keyword usage, you will be lacking a little when it comes to things such as Google. Any unhappy client is a potential loss of business, even if you are ensured that they accept the work you’ve done. You have to make sure they’re happy with their keyword selection and need to have completely open communication in order to better give a client or customer excellent service. After the keyword research is done properly; it’s time to incorporate that into your website. In order to do this, you must sometimes reword content so that the keywords being used fit what the web page’s content states. And furthermore, you must be able to see some sort of productivity results. Patience is a virtue though, as it can generally take up to 90 days in order to start seeing even a lick of results, from website traffic to Google rankings themselves. Once proper SEO is implemented into a website, the most important aspect is that they keep working on your SEO campaign and continue to check in from time to time. Some clients are uncomfortable with this, so certain post operation procedures are often cut short, but this is the worst thing you could do to stay ahead of the game and stay on top of your competitive businesses and website owners. There is a lot of research that goes into SEO marketing and optimization services, and it can be quite costly. One good thing to keep in mind though is that you get what you pay for. 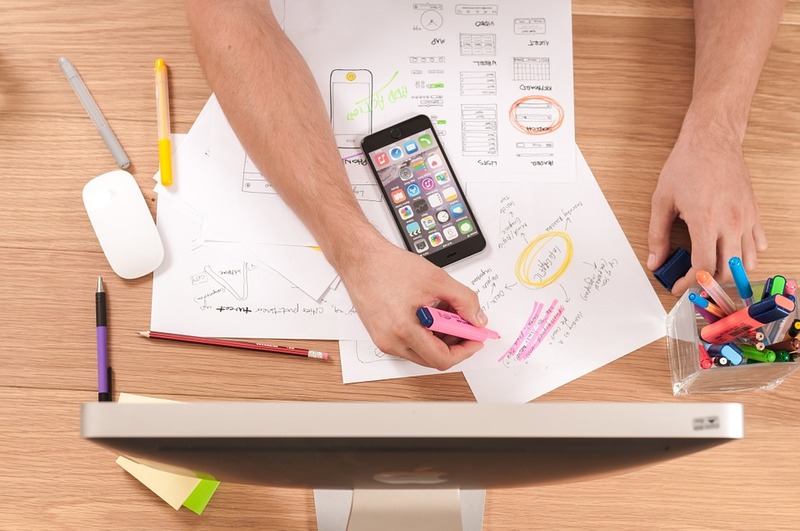 When you pay a low price for good services, you are often times wasting time and valuable assets which can create expenses more and more for your business. By hiring someone else to do the work for you, you are saving valuable time, and that’s what’s important. It gives you more time to do what you need to do. If you’re contemplating on purchasing new toys instead of just having an ATV and purchasing quad parts to upgrade your ATV you may want to consider a Honda Shadow Aero 750 and looking for honda oem parts that you can add to your bike. Here is everything you need to know about purchasing your first Shadow Aero 750. The Shadow Aero 750 features a low seat which means that placing your foot down at stop lights a breeze. If you are interested in riding with a passenger, you’ll appreciate the fact that this particular model offers a handy detachable passenger seat. The Aero 750 features multiple chrome details such as stylish chrome handlebars, chrome engine side covers and chrome rear shock covers. If you’re looking to purchase a bike which offers a grunty engine, you’ll love the fact that this particular model boasts a powerful v twin engine. Which means that you’ll be able to use your bike to commute to and from work and to enjoy long drives on the weekend, without any issues. The Honda Shadow Aero 750 offers a unique look as it’s body is inspired by a classic art deco 1950s bike but still offers a thoroughly modern look. So if you like the look of classic bikes but still want to purchase a bike with a sleek body, it’s well worth taking a Shadow Aero 750 for a test ride. Some examples of some of the Aero 750’s classic inspired features include a full front fender and spoked wheels. This particular model features a shaft final drive which is clean and low-maintenance and which will ensure that you never have to worry about lubricating your bike when you’re out on the open road. The Honda Shadow Aero 750’s special programmed fuel injection system, ensures that you’ll never have any issues starting up your bike on a frosty, cold morning or when you’re riding at altitude. The Honda Shadow Aero 750 offers a 2 into 2 style exhaust system which produces an authentic V-twin cruiser sound. So if you’ve always loved the sound of V-twin cruisers, you’ll love the sound that the Honda Shadow Aero 750 produces. While the Shadow Aero 750 has a cool, classic look, the front disc brake is thoroughly modern and boasts a 296 mm front disc brake. Which will allow you to brake smoothly in the blink of an eye. 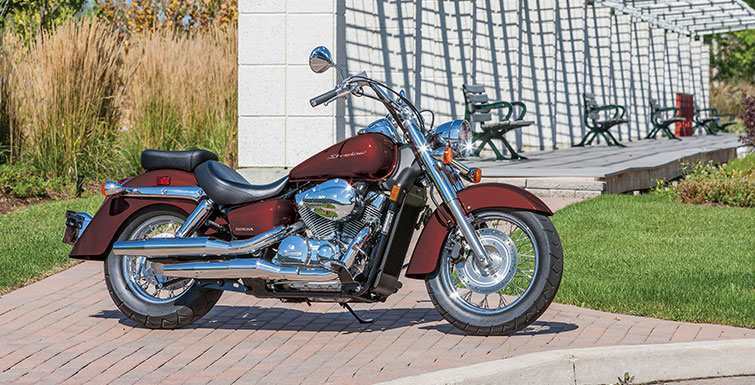 So if you’re looking to purchase a bike which offers modern safety features, it’s well worth considering the Honda Shadow Aero 750 as one of your final options. You may want to consider purchasing the ABS model of the Shadow Aero 750, which offers a modern, state of the art braking system. Which is perfect for riders of all skill levels and levels of experience. You can also find cheap honda motorcycle parts for your bike so that you can customize it to your liking. So if you love the sound of all of the Honda Shadow Aero 750’s features, it’s well worth taking one for a test drive today. If you want to learn more about our blog, please click here. Hey everyone! Arshad Madhani checking in here. I’m an Atlanta, GA based digital marketing consultant with over a decade of experience. I’m always going over things with entrepreneurs from every walk of life. I am always being recommended new tools to try out that will really help out with overall productivity. Out of all the ones I’ve tried, here is a look at the five tools I think are the absolute best right now. Since both of these are free, I recommend getting both of these tools in order to help collect payment quickly and easily. These are the two best ways to process cashless payments at any time. Not only can you have an individual accounts, but entrepreneurs should look into business accounts as well. This allows for invoices to be sent, and other very useful tools in just about any field. There is really no time for the old way to make and receive payments these days. I’m always traveling to conferences and to meet clients and have come to terms with traveling being inevitable as an entrepreneur, but traveling does not have to be expensive. There are a lot of tools out there to find the best and cheapest flights, but Google Flights is my favorite. It is very straightforward, and it is extremely easy to use. People can opt for notifications, or they can simply check on a consistent basis. I routinely save $50 flights when using Google Flights, and sometimes much more. It truly is amazing, and the only way to shop flights in my opinion. Project management software has certainly come a long way since I first started. Asana is the best on the market, as it allows for the best type of organization in general. I constantly have a lot of different projects going on, and this allows me to stay organized in every way. Without something like Asana, my weeks would probably be at least 5 to 10 hours longer. Being able to handle project management is essential for any entrepreneur. The last thing a person wants is to be completely over their head or swamped with work. Asana helps me, and a lot of others out there, stay on task and get results on a consistent basis. Communication is key when working as a team, but more and more entrepreneurs are working with people all over the world. Slack is the best solution to dealing with all the different issues with everyone working remotely. What I really like about Slack is that you can have different channels for just about anything. This not only allows for great productivity and organization, but it even helps to separate silly banter throughout the day with serious business. It’s not all about hard work in Slack, so have a channel or two to talk about other interests with team members can keep morale high. As one can already tell, I’m big on organization. So of course, this is another tool to really keep everything as organized as possible. I am always scheduling meetings with different people, and it can be very difficult to organize them all. While some might be fortunate enough to rely on a secretary to handle things, I use Calendly as my own type of secretary. What I’ve noticed since using Calendly is that people are able to make appointments with me much easier than before. There were so many times in the past in which I could not meet with people for days and even weeks. Not only do I have more appointments than ever, but it is taking up a lot less time. I can certainly get behind that. Along with these five, I’m always using a bunch of tools to help make my day more efficient. I like to share a lot of my tips along the way, so following me on Facebook and Twitter are the best ways to keep up with me. I also have my own website at www.arshadmadhani.com if readers want to check that out. For more business advice from the Local Market Launch blog, click here. 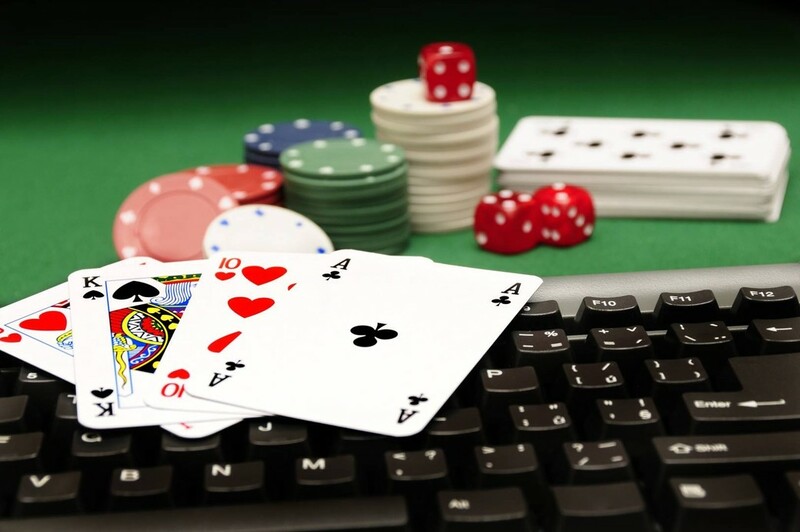 Firstly, advances in technology are set to make playing online poker even more convenient than it is now. While it’s still possible to compete against real life opponents at tournaments like the World Series of Poker, or in bricks and mortar casinos, technology brings the excitement of the game to us. The incredible rise in online poker sites over the last decade, faster wireless networks and developments in smartphones, has allowed poker lovers to work on their game anytime and anywhere. Moving forward, things are only set to get faster, with the knock-on effect predicted to be more players reaching a higher standard in a shorter time period and therefore elevating the quality of play to previously unseen levels. The convenience of online poker means a wider variety of people are taking it up as a hobby. Playing online removes the need to pluck up the courage to walk into any intimidating poker rooms where players are more experienced and potentially wealthier. This has led to more younger players and an influx of women taking up the game. Online poker rooms also have the added benefit of offering low stakes (1-2c) or completely free games. This encourages more beginners to learn the ropes in an inexpensive, non-stressful environment. Moving forward, technology will continue to open up the game to people from all walks of life, widening the player pool and offering more chance to practice. The result being a higher volume of more highly-skilled players to compete against at any time of day or night. Already online poker rooms are providing invaluable insights into how you and your opponent’s play. If you want to improve your game – analysing this kind of data is key! Moving forward, we expect to see technology used to improve player data and feedback. We’ve seen the first glimpses of this with tech like poker solvers, which essentially grants you access to your very own poker coach who can help you to develop your game faster than ever before. One particularly exciting development the poker world has had its eyes on for a while now is virtual reality. With hardware coming down in price and software being improved, soon we will see players from all corners of the world competing in a virtual space. Again, this will allow players to gain more experience taking on competitors from all corners of the globe…pushing people to advance even further. As various cryptocurrencies continue to grow in popularity, more online poker players will realise the benefits they have. For example, moving currency from a crypto wallet to an online poker account is faster, safer, and stops you being affected by banking regulations and fees from either the banks or third-party payment processors. Technologies such as Etherum for example, enable close to free payments and eliminate almost 100% of all chargebacks. As the cost of operating poker sites decreases, expect to see players winning more substantial cash prizes. While it’s impossible to predict the limits of how technology will progress the game, it’s clear that people will become better players much faster. Having greater access to more opponents will keep online poker more exciting and security and ease of play will improve exponentially. Exciting times are ahead for online poker, and technology is set to play a key role in the journey. To read more on topics like this, check out the lifestyle category. Recent research has brought the underground world of mashonisas (South Africa’s illegal loan providers) to the surface. Who are these informal lenders, really? South Africa’s loan sharks; violent or vital? Recent research has brought the underground world of mashonisas (South Africa’s illegal loan providers) to the surface. Once characters familiar in some quarters through headlines and stereotypes alone, a qualitative study has revealed that informal lenders may in fact quash many assumptions. You may know of mashonisas from untoward headlines and unsavoury stories. This image is likely a dominant one in the minds of many South Africans who have never had dealings with a mashonisa. While this industry is unregulated (and therefore vulnerable to more unsavory characters), many informal money lenders are everyday members of low income communities. These individuals often turn to money lending after deciding to capitalise on a small amount of disposable income. Although research conducted into mashonisa life in an informal settlement reveals that some lenders may in some cases treat borrowers less than- scrupulously, the individuals interviewed on both sides of the lending divide very rarely reported troubling transactions. Humiliation was one of the major “misbehaviours” of mashonisas according to some reports. Some interviewed consumers claimed they were rudely treated both by their lender and the community at large for seeking a loan. There are a few reasons why mashonisa related violence may appear lower than the stereotypes suggest. It is possible that such incidents are under reported. It is also possible that informal lenders do not profit from a negative reputation. Those who treat consumers reasonably are more likely to enjoy custom from the local community. Based on this research, it appears that mashonisas could be a long way from the violent image they have traditionally been associated with. In fact, online loan provider Wonga’s informal lending report could be interpreted to show many mashonisas are “everyday Joes”, including former factory workers and kitchenware sales women, ranging in age from 27-48. Wonga’s study could be read as evidence for the central role of mashonisas in communities where access to short term finance is virtually non-existent. These mashonisas provide loans of R500-R5000 over short periods to individuals who need to cover the cost of crucial expenses such as petrol, school costs, food and other essentials. Although interest rates range from 30% to 50%, in informal settlements and townships, these lenders are often the only port of call. Consumers in such communities may not have access to “official” finance options due to geographic distance from such services, an impaired credit history or no credit history. 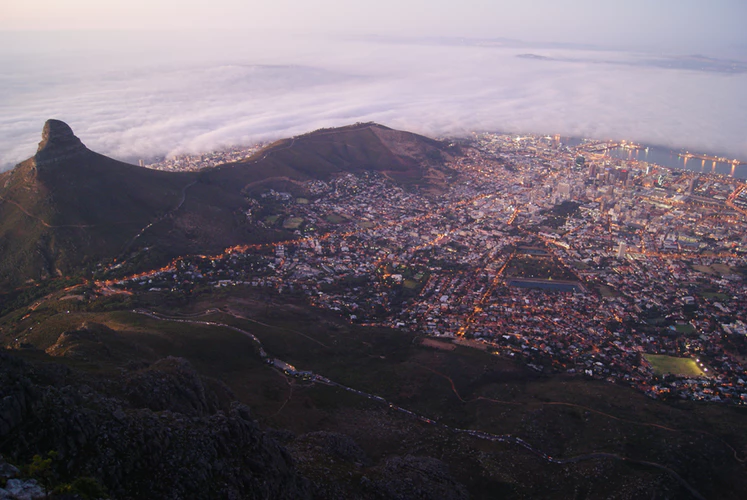 With many people outside of formal employment, it is difficult for low income South Africans to access short term finance, especially following the country’s 2005 crackdown on irresponsible lending. Although not ideal, this dearth of conventional credit access appears to render “loan sharks” the only option for many South Africans in desperate need of capital to cover expenses. As the national cost of living continues to creep up, the mashonisa is likely to become ever more vital in South Africa. get exclusive Local Market Launch content straight to your inbox. Welcome to Local Market Launch - We are Liz Beaker and Smith Johnson and our website is your one-stop-shop for everything business, marketing and finance related. You can just be starting out, or have had a business for years. We are here to share the most cutting edge, relevant and modern tips for growth, profit and sustainability.